turn into a night of mystery and mayhem – leaving one of the guests murdered! Clean versions are void of references to extra-marital affairs, alcohol and/or illegal drugs. 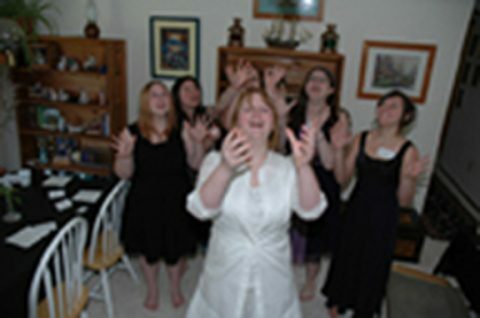 Teens and/or conservative groups often use clean versions for their mystery of choice. The lucky man will not only be gaining a wife, but a family with wealth, something he has never had before. The blushing bride has never been so happy. 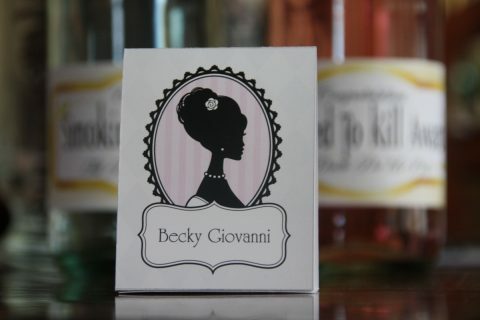 Becky is determined to make sure NO ONE ruins her wedding day! Brutus is an over-protective brother and business partner to the groom. Although Brutus has never gotten along with Becky, he seems to be extremely tolerable of his sister-to-be lately. What could be behind Brutus’ new-found affection? 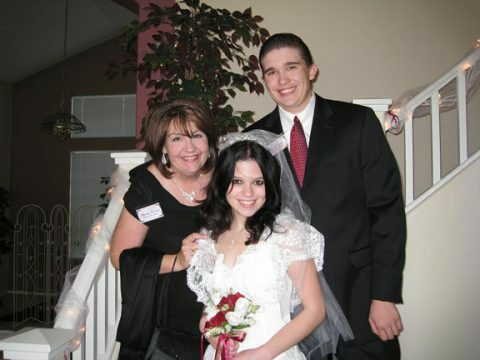 Wade has also been dating Trisha Trinket, the maid of honor. Their relationship started as an affair but has it grown to true love? He is a friend of the groom, the ex-boyfriend of the bride and was the reason the happy couple met. Will his broken heart come in the way of the happy union? 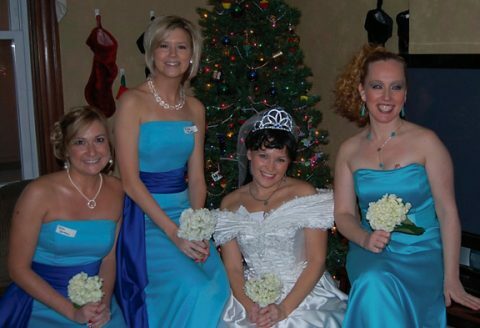 As the best friend of the bride, Trisha will do anything to insure Becky’s happiness on her wedding day. Trisha knows Becky would do anything for Trisha in return (and possibly already has). 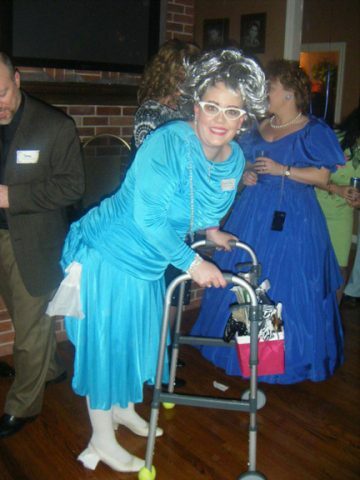 Get your creative costuming ideas here!!! 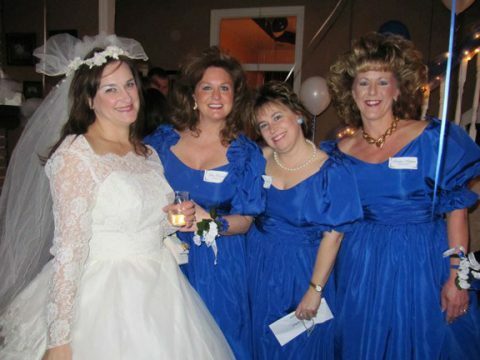 For Till Death Do Us Part, you can find a lot of the elements to your outfit in your closet and the key to “making it special” could be that over-the-top wig or that extra prop or accessories you add to make it HIL-ARIOUS! • Money tucked into places, like a lapel, hatband, etc. • Props of any sort! • Coordinating with the other bridesmaids coming to the party to match. Look here for more info on what to expect at the party! AT THE PARTY, YOU WILL BE GIVEN FAKE MONEY TO DO WITH AS YOU PLEASE. 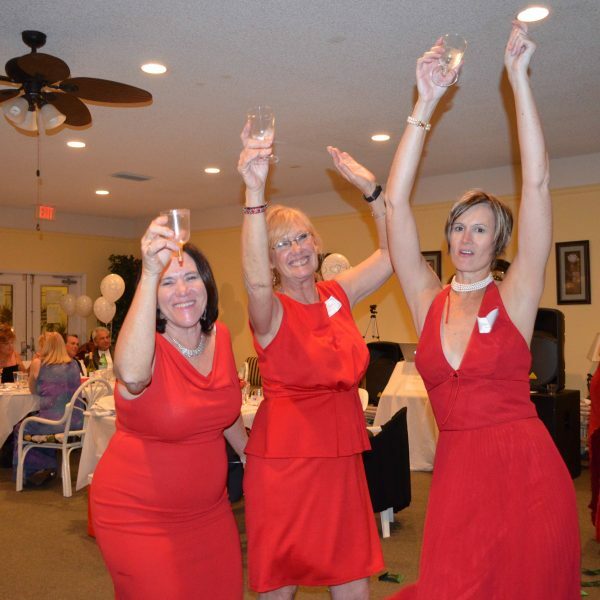 Here are some ideas on how to spend and collect money at the party! Keep in mind, there is an award at the end for the person who accumulates the most (fake) wealth! Any Creative Means You Can Think Of!!! 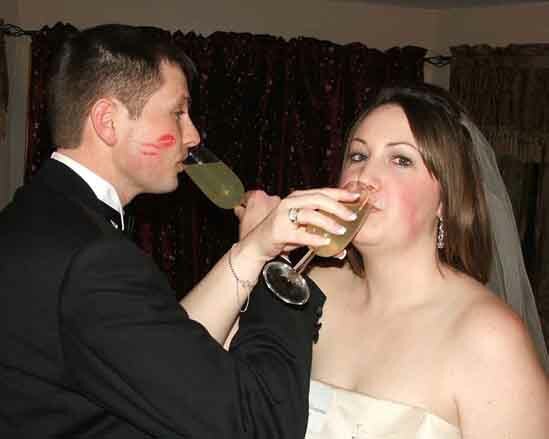 In an Italian wedding, the reception will begin with a cocktail hour where the bridal party and the guests separate for an hour and are served cocktails. During the cocktail hour food is served buffet style and the bride and groom will usually take this time to have photographs taken. Food is served throughout the reception, usually a three-course meal with plenty of dancing in between and then it is time for the bride and groom to cut the wedding cake just before the dessert course begins. Sicilian custom includes what is called “Venetian Hour” where a huge selection of pastries, fruit, cakes, and coffees are served on what is called a “Venetian Table” amidst much celebration. How to create that perfect wedding reception party feel! • Adorn the venue with white wedding bells. 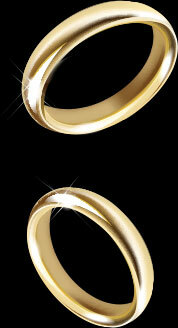 • Create a wedding arch (see some below). 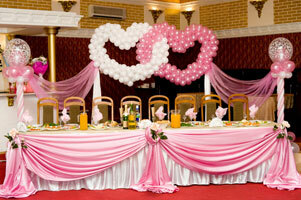 To make your own balloon arch, check out this link! • Raid the dollar store, craft store, garage sales, everywhere that has inexpensive wedding decorations. Stock up on sales! • Create your own table decorations from anything you have. • Flower it up! 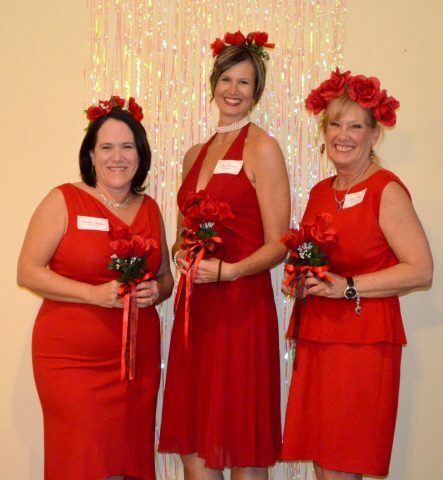 Fake rose petals can go a long way… as can silk flowers. Check your local dollar store and discount store for silk flowers, candles, vases, etc. • Paper lanterns are also a good light source that can double as a decoration. • String along white twinkly lights. • String white twinkly lights in sheer fabrics and hang for both lighting and decoration. • Have a guest book for all of your guests to sign in! Encourage them to make comments about the party. • Create a wedding ceremony stage, complete with an aisle for the bride to walk down. • Use the staged area to make announcements such as the greeting, investigation report, evidence presentation, etc. 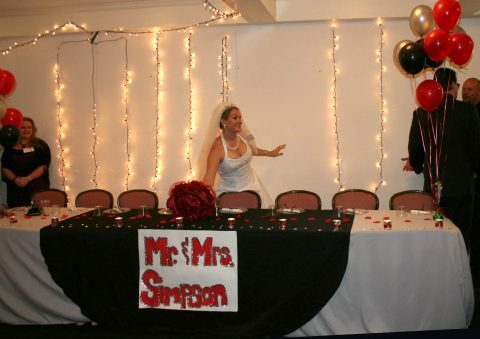 • Create a dance floor for the reception. 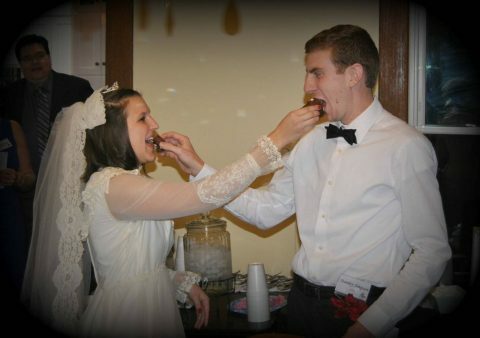 • Do the first dance, dance with the parents, cutting the cake and other wedding traditions. If serving dinner, have a head table where the bridal party will sit. 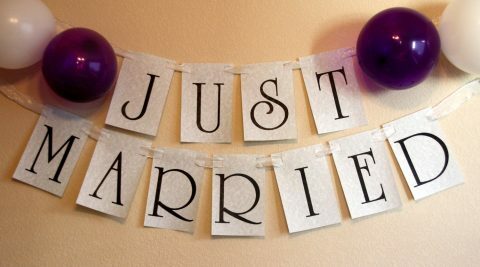 – Place a “Just Married” sign on it (included with mystery). – Balloon arch over it optional! – Seat other guests by where their characters should sit (with their “family” members). – Use placecards, included with mystery, at table settings. – Wrap candy in tulle fabric and tie with a bow! Add a little “murder” to them by dipping the ends in red fabric paint and letting them dry. • Have bubbles available for your guests to shower the happy couple with. • The wedding toast! Toasting glasses rimmed with “blood” (instructions with mystery – pictured below). • Get monogrammed napkins and such with Becky and Stanley’s monograms. • Create wedding programs! Have the programs lying about to help people remember who all of the characters are from the mystery. • Have disposable cameras sitting out on the tables so that the guests at the wedding can capture some great candid picts of the night. 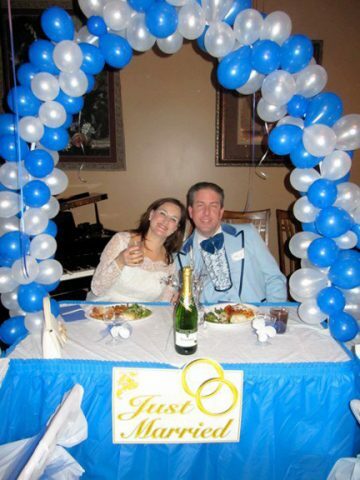 • Have a wedding arch – you can place it on your wedding area or someplace else for pictures. To create a balloon arch, follow these directions! See “Create a Photospot” for more tips! • Use props like wedding bells, columns, balloon arches, wedding arches, lavish chairs, anything you can think of, to create a staged area for pictures. Consider your character list and which character would fit the role of taking the picture. Ie, if you want mug shots, perhaps ask the investigator to be in charge of taking the pictures. 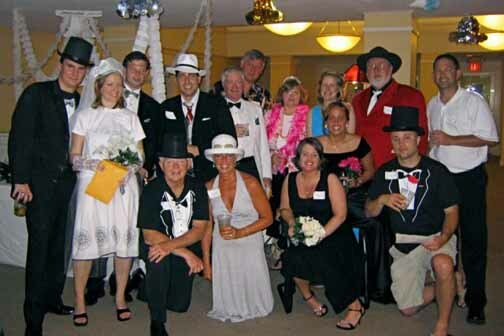 • If having a party with 20 guests, you may ask Ronnie Rhymer to take the pictures. 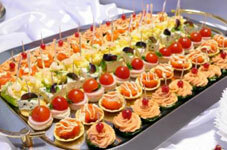 Baffled about what you can serve for your wicked wedding reception - check here!!! If serving a meal, consider serving a buffet-style dinner. 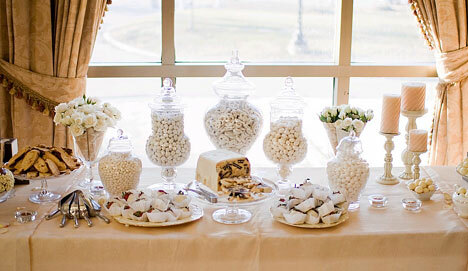 Buffets allow you the flexibility to plan for a appetizers, a full dinner, desserts or any combination of. Additionally, it helps with food serving and allows ample time for your guests to mingle while eating. • Check out some tips and recipes for making buffets here. 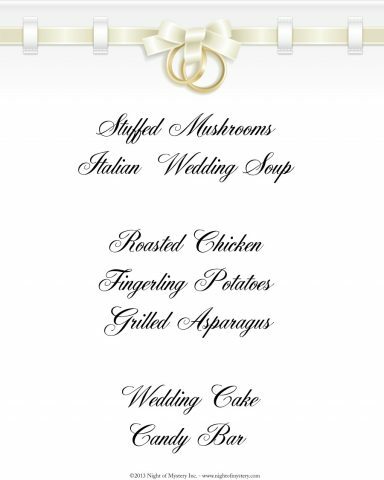 • Being a wedding, the options for foods are open to what you (as host) wish. • Pick foods that you can make ahead and are easy to serve. 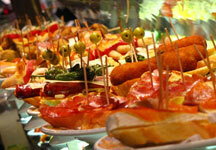 • Buffet-style dinners do well and cut back on the responsibilities of serving food. 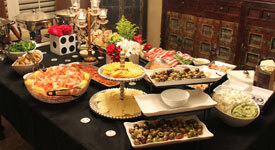 • Appetizers and sweets also do well, since they allow your guests to mingle. • Whatever you decide, input the food items into the menu (included with the mystery). Use namecards (included with the mystery) to distinguish where people should sit. What’s a reception without a Wedding Cake! 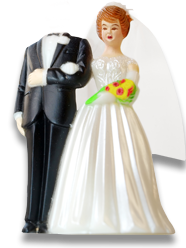 – Check out these cake toppers: Spy, Corpse Bride, Skeleton, Zombie Couple. – Have a wedding cake with a butcher knife and “blood” dripping from the cake. 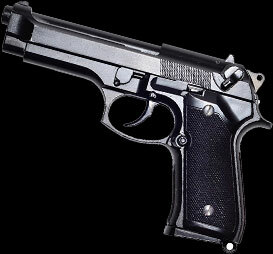 – Have a wedding cake made and use toy pistols as cake toppers. – Add candied skulls or Halloween candy to the wedding cake for added “mystery” appeal. 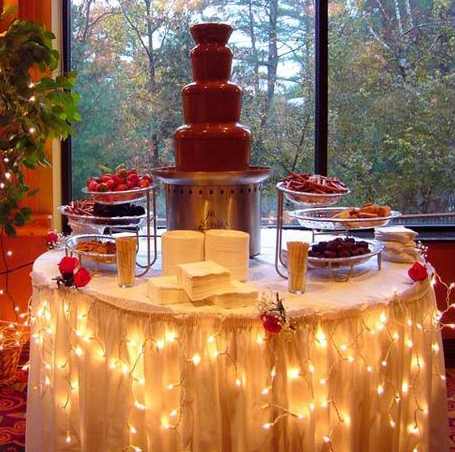 Chocolate fountains and candy bars – another popular trend for weddings. 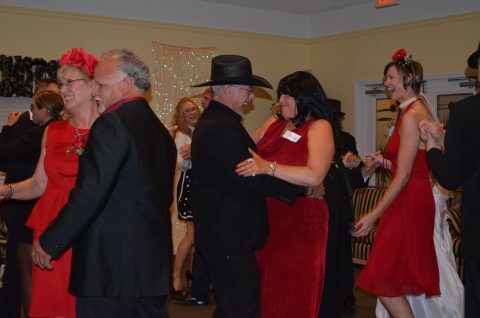 WEDDING “CLASSICS”: If planning a wedding reception, don’t forget some of the “classics” like the chicken dance, the hokey pokey, the cha-cha slide, macarena and more! MIX IT UP! Weddings are popular for having a variety of music played by a DJ. Make a mix of your favorite songs to have your crowd dancing and sleuthing at the same time. See section above for dances you will want to make sure are on your mix list.”The Wedding Singer” soundtrack is one to consider. Here is a list of the top 200 songs for wedding receptions! 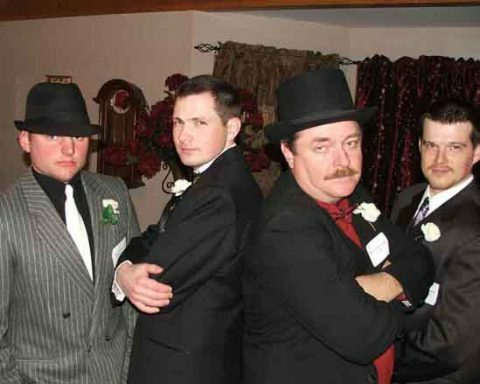 MOBSTER MUSIC- Since the father of the bride has some questionable ties to organized crime, you might want to look to such soundtracks as The Godfather, The Sopranos and Bugsy to add a soundtrack to your own party! LOVE MUSIC- Find a compilation of love songs perfect for any romantic day. Find it here. FOR FREE MUSIC- Visit your local library for a number of compilations and artists. Ways to go above and beyond with THIS wedding theme! 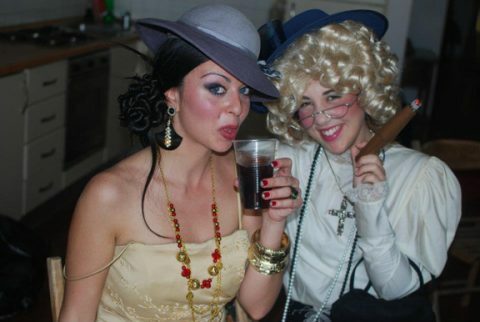 Themed Ideas to do AT the party! 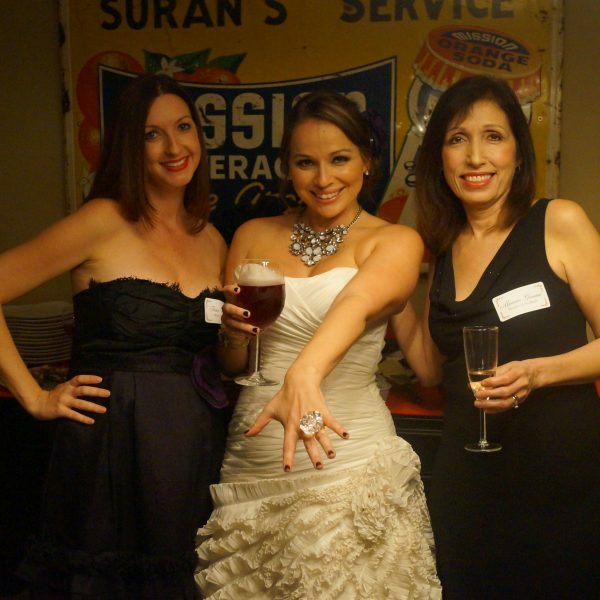 Creating the buzz about your party is a sure-fire way to get your guests excited about attending. 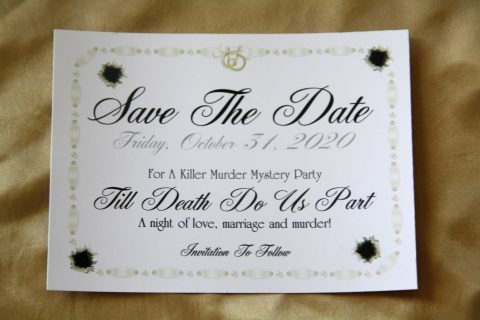 • Send out your “Save The Date” postcards (included with the mystery) as you would for a wedding. 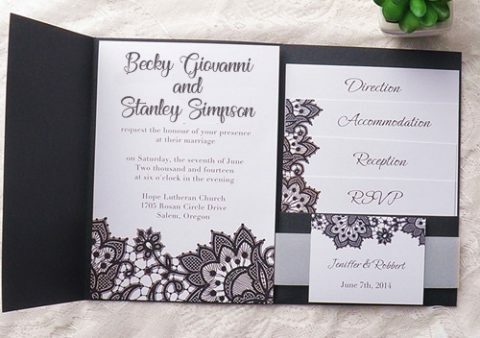 • Create invites to your party on wedding invite stationary. You can find some inexpensively at your local craft store or office supply store. Have a guest book for all of your guests to sign in! Encourage them to make comments about the party. Create a wedding ceremony stage, complete with an aisle for the bride to walk down. Use the staged area to make announcements such as the greeting, investigation report, evidence presentation, etc. Create a dance floor for the reception. 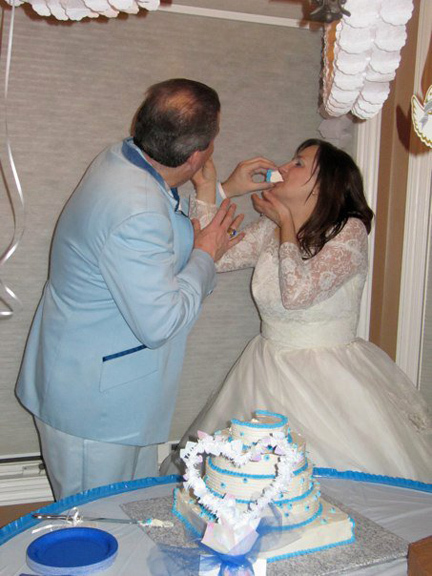 Do the first dance, dance with the parents, cutting the cake and other wedding traditions. • Place a “Just Married” sign on it (included with mystery). • Balloon arch over it optional! • Seat other guests by where their characters should sit (with their “family” members). 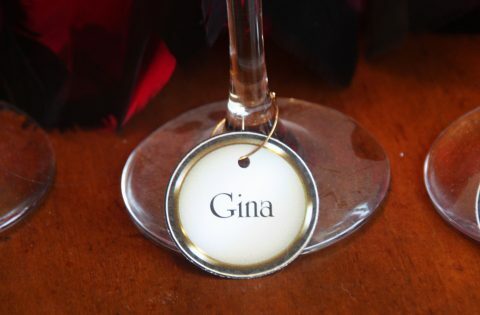 • Use placecards, included with mystery, at table settings. Wrap candy in tulle fabric and tie with a bow! Add a little “murder” to them by dipping the ends in red fabric paint and letting them dry. 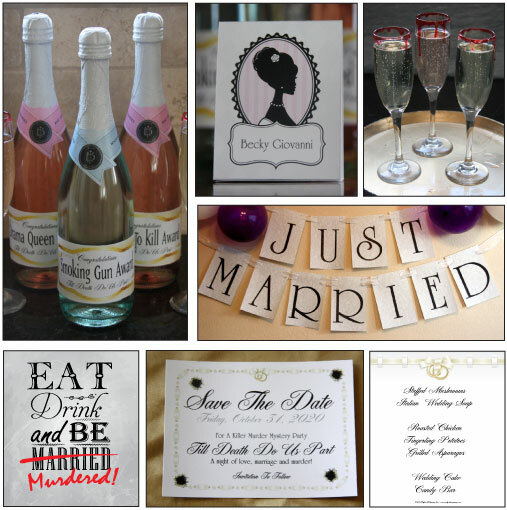 Have bubbles available for your guests to shower the happy couple with. The wedding toast! 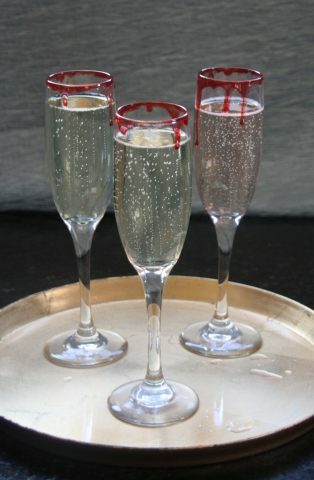 Toasting glasses rimmed with “blood” (instructions with mystery – pictured below). Get monogrammed napkins and such with Becky and Stanley’s monograms. Create wedding programs! Have the programs lying about to help people remember who all of the characters are from the mystery. Have disposable cameras sitting out on the tables so that the guests at the wedding can capture some great candid picts of the night. 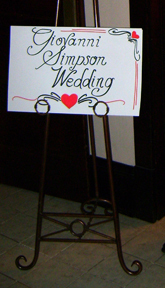 Have a wedding arch – you can place it on your wedding area or someplace else for pictures. To create a balloon arch, follow these directions! 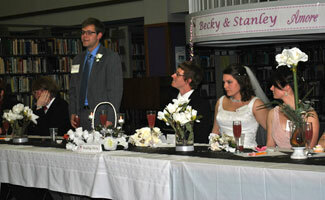 All of the information regarding how to run your Till Death Do Us Part party can be found online at Night of Mystery. We highly suggest that you take time to look over our website and download the Till Death Do Us Part preview file. Upon reading the introduction file, it will give you a better understanding about how the parties are run and what to expect once you purchase a full mystery file. Check out our Till Death Do Us Part Pinterest Board! 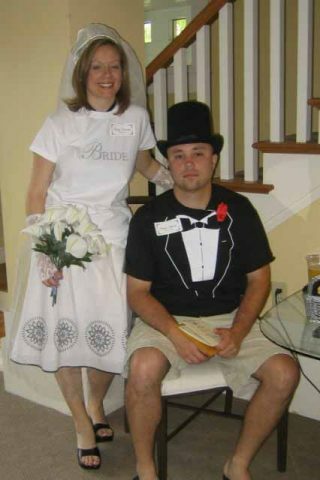 For even more party planning ideas, check out our Till Death Do Us Part Pinterest Board here. It is s filled with ideas for recipes, costumes, decorations, etc. for the perfect Till Death Do Us Part party! • Eat, Drink and be Married/Murdered! 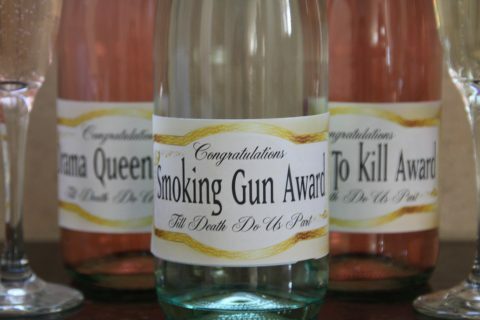 - Champagne Bottle labels to use as awards! I hosted this as a local reception for my friend who got married out of town. We had a blast! 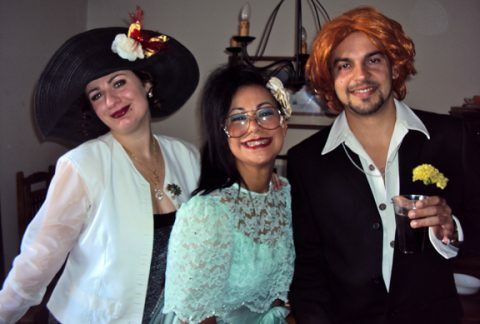 We sent out information earlier, and everyone started jokingly getting into character before we even hosted the party. We used the actual bride and groom for their parts. We had champagne toasts from the father, best man, and maid of honor and we also did a father daughter dance and a bride/groom dance. Everyone had an awesome time and people left wanting to do this again! 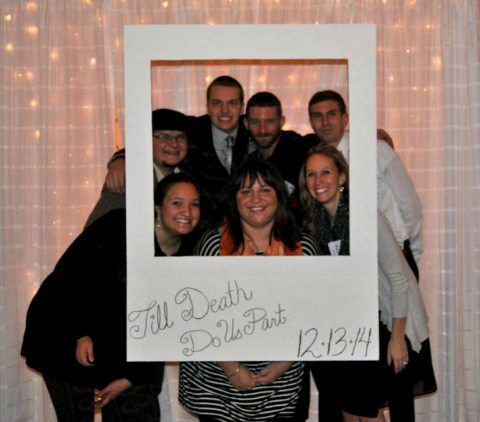 We recently hosted the Till Death Do Us Part murder mystery and had a GREAT TIME! 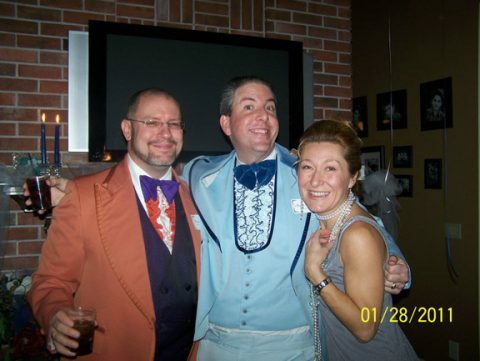 We had twenty eight guests and every single one was raving about how fun the party was! For half of us, this was our 4th Night of Mystery gathering. The other half were rookies and now cannot wait to attend another one! The great character descriptions really helped us get to know each of our characters beforehand, as well as their relationship with others. 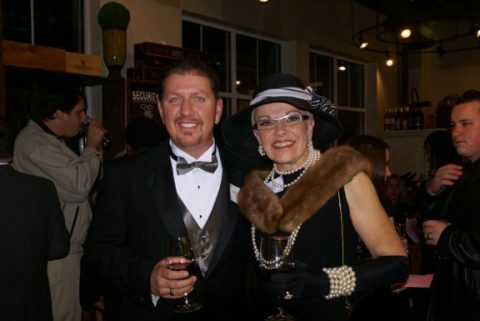 My husband & I plan on hosting this party again with several different groups. 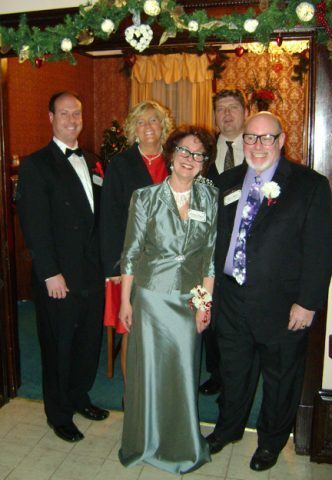 We look forward to more successful evenings of great fun & laughs provided by Night of Mystery! I really wanted to do something special for my fiancee's birthday and wanted everyone to have a great time. I thought of having a surprise murder mystery party. After researching a bunch of different options (dinner, cruise, etc), i decided to get your 'Till Death Do Us Part mystery since we are getting married soon (this week). After the party people were asking me when we're going to do another one! Thanks for a GREAT time! This was by far one of the funniest parties I have ever had. 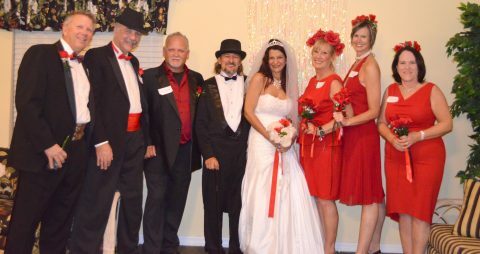 My husband & I hosted "Til Death Do Us Part." We set it up like a wedding. We served traditional wedding food including chicken & mosticoli. My friend even made me a homemade wedding cake. Each character came dressed in costumes. What a great night. 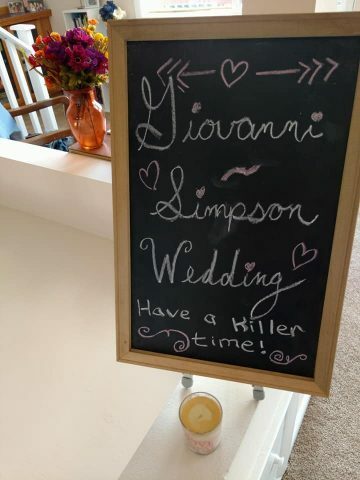 Multiple people wanted to know when I was hosting my next murder mystery before they left for the night. Can't wait until we do the next one. 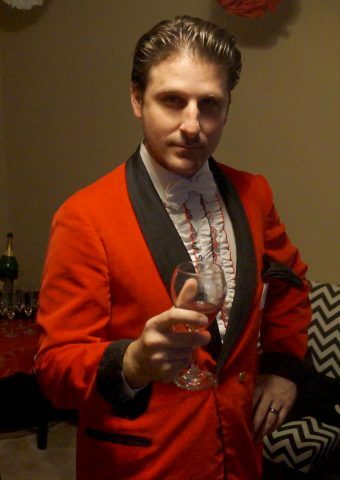 This was my very first Murder Mystery Party as a host. When I was younger I was part of the "staff" for a neighbor's party. I wanted to host one of my own and found this site. 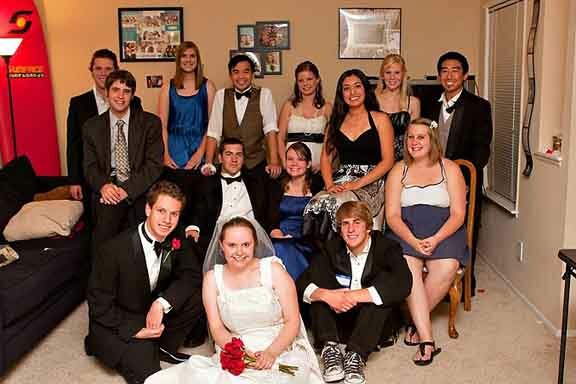 I planned an 18 person party "Till Death Do Us Part." It was a BLAST! I invited friends from College and we dressed up and all got into character and the night was amazing. I decided not to cast real couples as the character couples, I do have to say that if you choose to do it this way you have to break up every couple. It turned out to be a great idea because everyone got a chance to talk to people that they didnt normaly get a chance to spend that amount of time with. I cannot wait to host another!